Our technical excellence enables us to offer an extensive range of aluminum letters in diverse specifications as per the requirements of our clients. Widely utilized as warning signs, we offer these at competitive market prices. 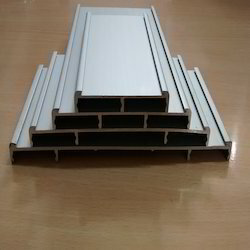 Clients largely appreciate the entire range for its durability and fine finish. Catering to the requirements of our clients, we are involved in offering Aluminium Curved Sign Profile. Having year of experience, we are involved in offering best quality of Aluminium Sign Board. This Aluminium Sign Board is manufactured by using good quality of aluminium that we sourced from the reliable vendors of the market. This Aluminium Sign Board is offered by us in various sizes and designs. Customers can also customize this Aluminium Sign Board as per their requirements. 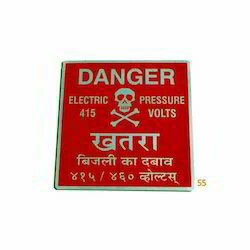 We are offering Aluminum Square Danger Safety Signage. Having vast industry experience and technical knowledge, we are engaged in providing a comprehensive range of Aluminum Signage. Our offered boards are designed in such a prompt manner that meets various applications in different places. We are supported by highly sophisticated technology in manufacturing of these boards. Reflector Stripe	: 2 Nos. Catering to the requirements of our clients, we are involved in offering Aluminium Letter Sign Board. Our organization is indulged in the business of importing, supplying, distributing, wholesaling and manufacturing Aluminum shop front signs. These Aluminum shop front signs provides attractive looks, and shows its identity.